The Team directed by Giuseppe Lanzoni ends the race on the Albert Park Circuit behind the Team Trek - Segafredo both in the Team Classification (90 points against 63) and the individual, won by the Finnish Lotta Lepistö against Chloe Hosking (58 points against 56). 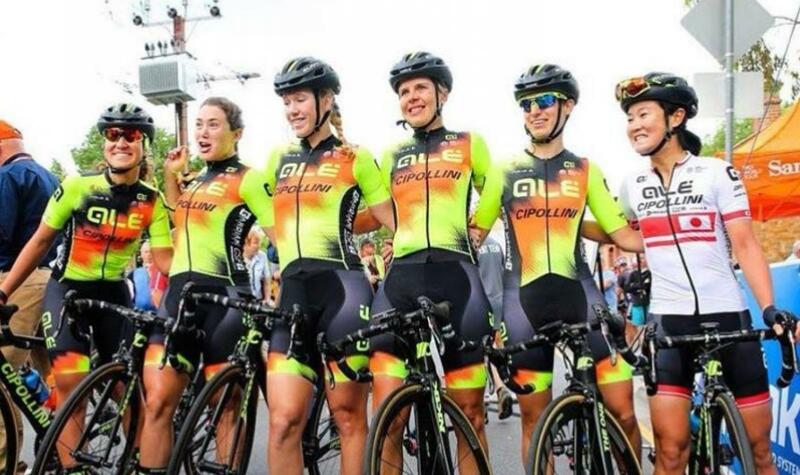 The Australian cyclist of Alè - Cipollini, Champion of the Commonwealth, has always been in the first positions even during the intermediate sprints of the 12 laps overall, and she could win the final sprint, keeping the second place in the GC, only two points behind the Finnish National Champion. Nadia Quagliotto from Italy (6 points) and Romy Kasper from Germany (1 point) added points for the Team GC. The athletes now can target the Cadel Evans Great Ocean Road Race this Saturday in Geelong, where Hosking is the winner of the last edition. Giuseppe Lanzoni and the team line-up will test a part of the race route tomorrow. The #YellowFluoOrange Sports Director says: “We started well: today it has been extremely hot (41 °C) but the team could be very determinated. About Saturday, we will find a different climate on the coast, more windy, then it will be hotter when the race will leave the sea. We are going to test part of the race route tomorrow to understand how can the race can become”.